CELEBRATION, Fla. (May 17, 2018) – In fall 2019, Disney Cruise Line will return to favorite destinations and home ports on a variety of itineraries, including adventures to Bermuda, Bahamas, Baja, Canada and the Caribbean. With cruises ranging from two-night getaways to weeklong vacations and beyond, this season of sailings offers countless opportunities for families to delight in Disney magic, explore exotic locales and make lifelong memories together. Bookings open to the public on May 24, 2018. More details on 2019 itineraries can be found on the Ports and Itineraries for 2019 page of disneycruise.com. The Disney Magic returns to New York in September for a selection of departures to a diverse collection of destinations, including luxurious Bermuda, sun-kissed Bahamas and historic New Brunswick, Canada. Three special five-night cruises feature two days in Bermuda, allowing extra time for guests to indulge in the island nation’s famous pink-sand beaches, world-class shopping, abundant water activities and distinctive blend of British and Caribbean culture. 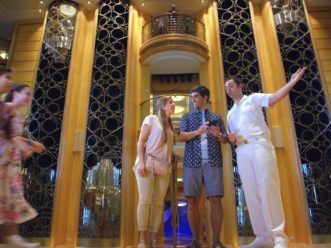 During two seven-night sailings from New York to the Bahamas, cruisers are treated to a double-dose of pixie dust. A stop at Disney’s private island, Castaway Cay, is paired with a day at Port Canaveral, Florida, where every guest receives a one-day Walt Disney World Park Hopper ticket and round-trip transportation to the theme parks in nearby Orlando. A single five-night cruise to Canada transports guests from New York to charming Saint John, New Brunswick with a stop in Bar Harbor, Maine. Saint John is the home of majestic natural phenomena like the renowned Reversing Falls and the world’s highest tides, located where the Saint John River meets the Bay of Fundy. In September, the Disney Wonder sets sail for a limited engagement in San Diego, where guests embark on adventures to Baja and the Mexican Riviera. Baja itineraries highlight the region’s famous beaches and exciting water activities with calls on Cabo San Lucas and Ensenada, Mexico. Two exclusive seven-night Mexican Riviera sailings feature the snorkeling and scuba diving hot spots Puerto Vallarta, Mazatlán and Cabo San Lucas. 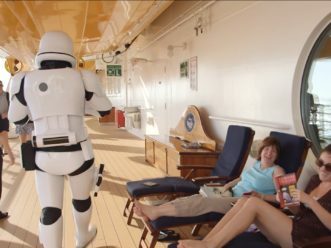 Disney Cruise Line guests can enrich their experience by combining select San Diego-based cruises with a pre-cruise package from Adventures by Disney, a leader in family guided group vacations. During this three-night itinerary, guests embark on a rare behind-the-magic visit to The Walt Disney Studios and Disney Archives, a private tour of Walt Disney Imagineering and a visit to the place where it all began — the Disneyland Resort. 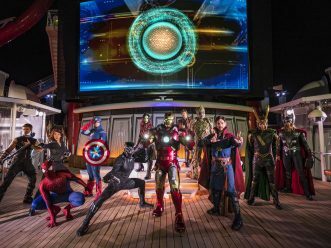 Beginning late November, the Disney Wonder will make Galveston its home port for a special series of sailings to the Caribbean and Bahamas, with options at four, six and seven nights. Caribbean cruises include stops in Grand Cayman; Cozumel, Mexico; and Falmouth, Jamaica. Bahamian itineraries feature stops in Castaway Cay and Key West, Florida. Two of the Bahamian sailings also take guests to Nassau, Bahamas, while another includes an exclusive second day on Disney’s private island. 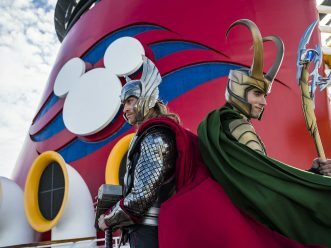 In fall 2019, the Disney Dream and Disney Fantasy continue sailing guest-favorite itineraries to the Bahamas and Caribbean from Port Canaveral, while the Disney Magic returns to Miami in November with a variety of cruise lengths and itineraries. The Disney Magic’s diverse lineup includes three-, four- and five-night Bahamian sailings and five- and six-night Western Caribbean cruises, and most itineraries feature a day ashore at Castaway Cay. Other ports of call on Bahamian voyages include Nassau and Key West, while stops in Grand Cayman and Cozumel headline the Western Caribbean itineraries. The Disney Dream sails three- and four-night cruises to Nassau and Castaway Cay. 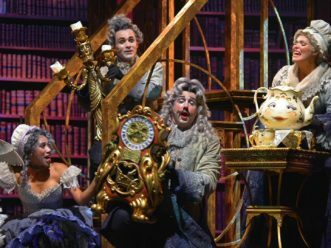 These itineraries make for the perfect family getaway, combining the magic of Disney with the ease and enjoyment of a tropical cruise vacation. The Disney Fantasy sails seven-night Caribbean voyages, and every cruise includes a stop at Castaway Cay. Eastern Caribbean itineraries visit the Virgin Islands of Tortola and St. Thomas, and Western Caribbean cruises call on Cozumel, Grand Cayman and Falmouth. 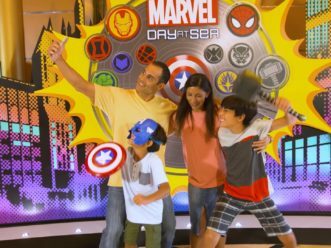 These weeklong experiences allow for even more family fun as guests make memories aboard their Disney cruise ship and at port in renowned tropical destinations. 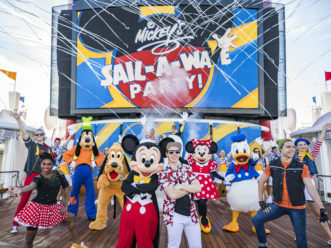 The Disney Fantasy will also sail a selection of special itineraries. In October, an eight-night voyage transports guests south to St. Kitts, Antigua and San Juan, Puerto Rico, while a six-night Western Caribbean itinerary includes calls on Cozumel and Costa Maya, Mexico. Both itineraries are capped off with a day at Castaway Cay. In December, two unique seven-night itineraries include one cruise to San Juan, Tortola and Castaway Cay, and another voyage featuring two days on Disney’s private island after visits to Cozumel and Grand Cayman. 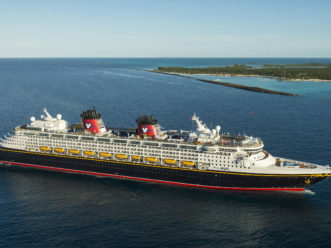 Today, Disney Vacation Club announced the dates for two special members-only Disney Cruise Line charter cruises: a five-night Pacific Coast sailing aboard the Disney Wonder on May 15 and a seven-night cruise to Bermuda aboard the Disney Magic on Oct. 5. 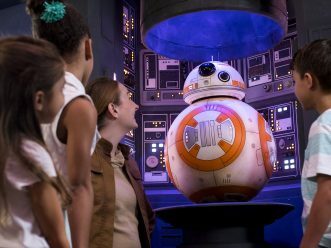 Bookings for both cruises open to Disney Vacation Club members on June 23, 2018.